What is Bail Bonds Local Mapping? As a bondsman, you know that your location plays a big part in service marketability. Potential clients trust bail agents that are close by and can provide speedy help when they are needed most. When your potential clients search for bail agents close by, how easy is it for them to find your business online? If you aren’t properly optimized for search engines like Google, there’s a chance that potential clients are missing your business completely. In order to make sure you have the best chance of being the primary search result, you need professional bail bonds mapping services. Why Are Bail Bonds Local Mapping Services Important? Google and other search engines sift through many different factors when determining your website’s rankings. For all of these sites, and Google in particular, your bail bonds mapping plays a large part in how high you rank. This is thanks to apps and services that inform potential clients about local businesses. 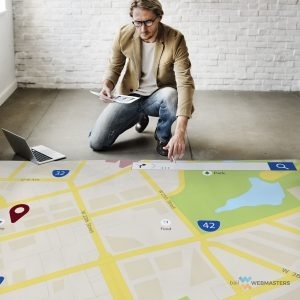 Having your location correctly optimized goes a long way in promoting your business. Google is more likely to consider your business a legitimate and authoritative figure in bail bonds, and will rank you accordingly. 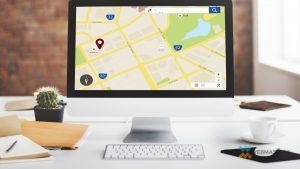 If you have conflicting locations that are improperly optimized, search engines may even decline to show you in their initial results, since they will be unable to verify your official location. Proper bail bonds mapping is key to promoting your business and increasing visibility with potential clients. People looking for a bail agent are looking for the closest and most reputable option they have. At Bail Webmasters, we work on your website to ensure that both search engines and potential clients can easily find your website, so they can hire you for their bail needs. We make sure that your web presence displays consistency and authority, which helps you optimize online, as well as increase conversion rates. If you are ready to increase your ranking online, and optimize properly with search engines such as Google, Yahoo, Bing, call us today at 866-362-3378! We are bail bonds SEO experts and we provide reliable bondsman mapping services at affordable prices. If you are ready to get started, don’t wait! Give us a call today and find out how proper local mapping techniques can take your online business to the next level! Updated on November 2, 2017 at 2:46 pm by Bail Webmasters.